This event is for Women only, beginner's welcome. Pinball Pete's Ann Arbor at 530pm. 3 or 4 strikes (depending on Turnout), 3rd and 4th players receive strikes. 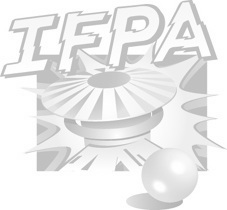 Cost of entry is 1$IFPA fee and coin drop. Prize for first place! This will be a laid back fun environment, that welcomes all skill levels. Game knowledge and strategies will be shared, come improve your skills!!! Parking is free in ann arbor on sundays, including the parking garage next door!! !